Disclosure: We were invited along to Drayton Manor free of charge for the purpose of this post. 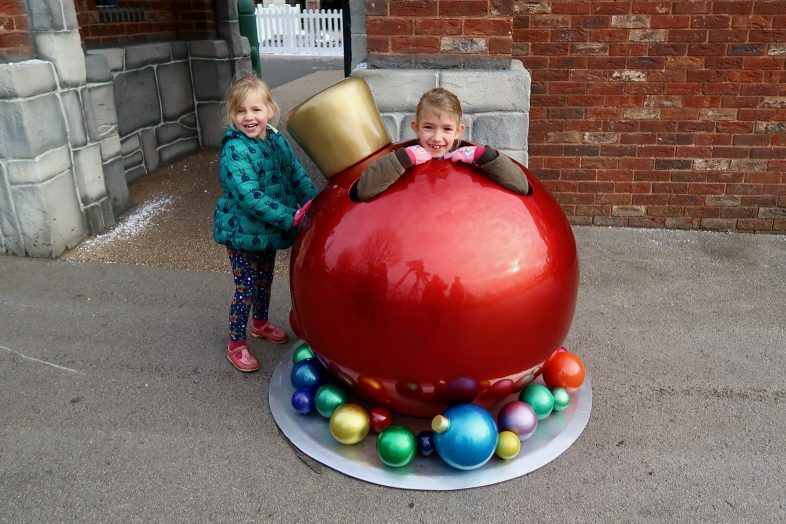 We were invited along to enjoy the Magical Christmas event at Drayton Manor, and the girls had a lovely day out enjoying the rides and meeting Santa in the Castle of Dreams. 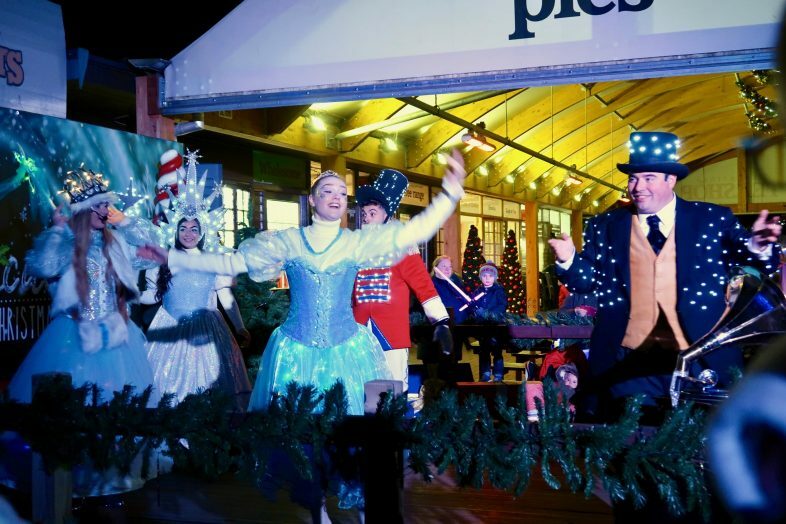 This year is extra special, as Drayton Manor is celebrating 10 years of Magical Christmas. The first thing they wanted to do once we arrived was head to James’s Red Balloon Ride in Thomas Land which was new to the park this year and is one of their favourite rides. It’s like a teacup ride, except as well as the teacups going round & round they go up and down as well, it is a lot of fun! 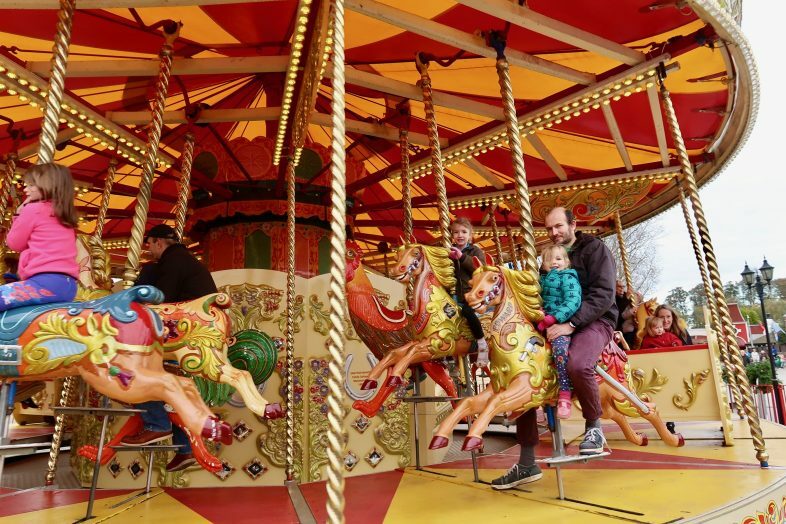 We had a fun few hours enjoying the rides, grabbing some lunch, and enjoying the festive atmosphere – they are both little thrill seekers, Lydia in particular, and I’m pretty sure they went on all but a handful of the rides that were open in the park! 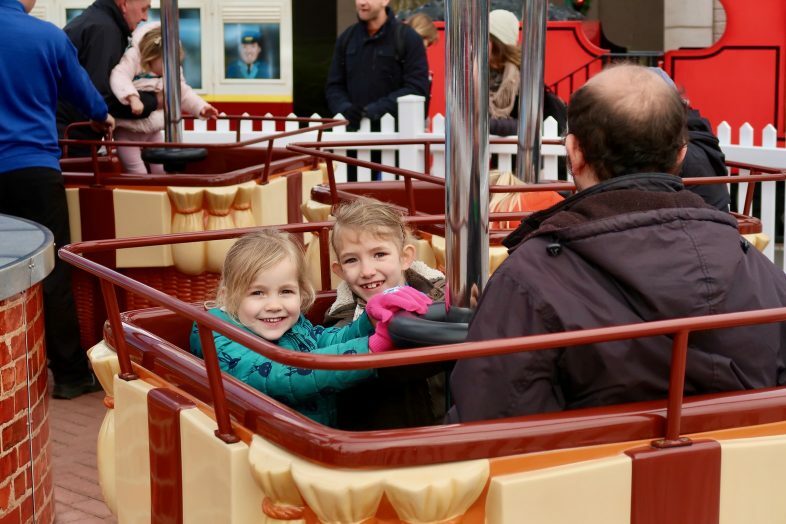 All of the rides in Thomas Land are open during the Magical Christmas event, along with a handful of family rides within the main park. Lydia went on the Accelerator for the first time with her Daddy… and then immediately went on it again! 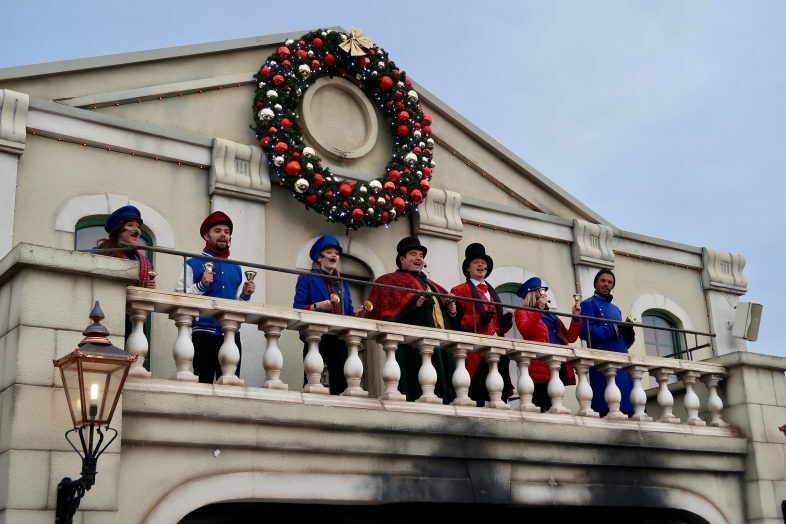 There are live shows throughout the day with Sir Topham Hatt and his friends singing some Christmas songs, and it even snows several times a day, which was possibly Lydia’s favourite thing about our day there. The ‘snow’ is foam but it looks amazing. The park is decorated throughout with lovely Christmas decorations, and Thomas even has a red nose, antlers and fairy lights. When it was time for us to visit Father Christmas, we headed over to the Castle of Dreams and queued up. They have heaters for the queue area – how luxurious! 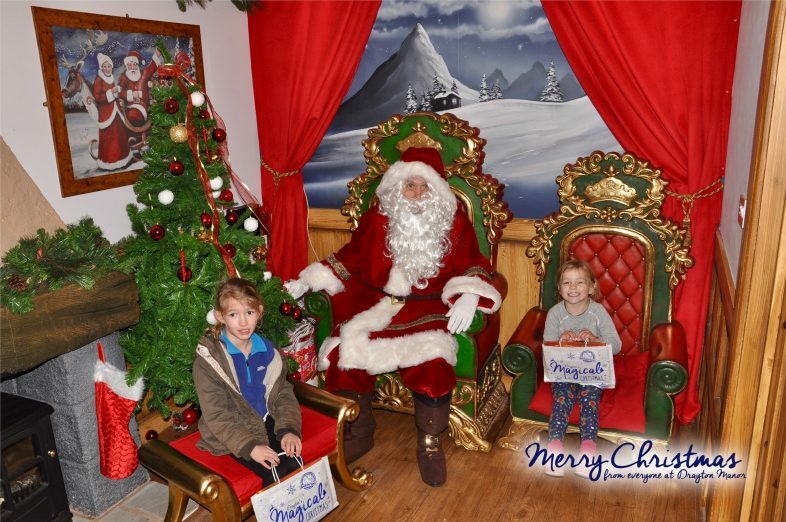 We didn’t have to wait long as they manage the whole things really well, with several elves working on taking children through several doors to see Santa, without them being able to catch a glimpse through any door but their own. The girls really enjoyed their Santa visit, and each got a lovely story book to take home, and their photo taken. You can buy a photo souvenir in the Castle of Dreams afterwards, as well as visiting their (reasonably priced!) Christmas shop, have their faces painted, or write a letter to Santa. We visited the reindeer in the zoo, too. 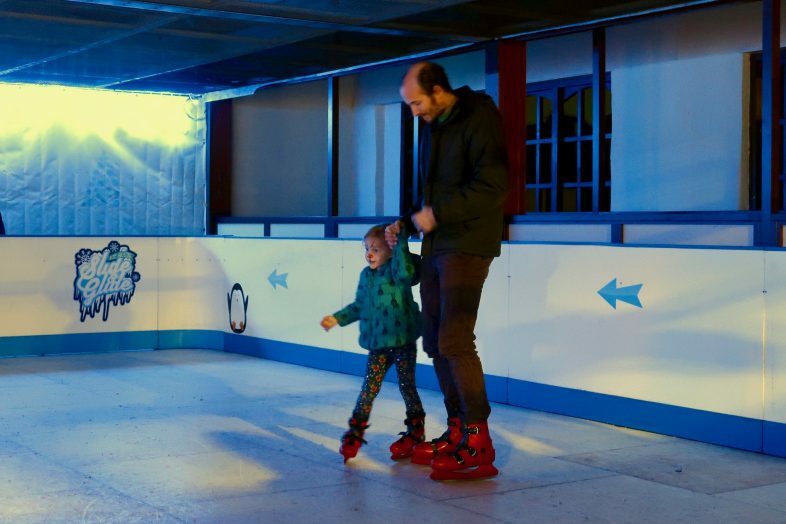 The 4D cinema is showing Ice Age: A Mammoth Christmas during the festive period, there is a Slide & Glide rink to enjoy some skating (included in the park entry price! 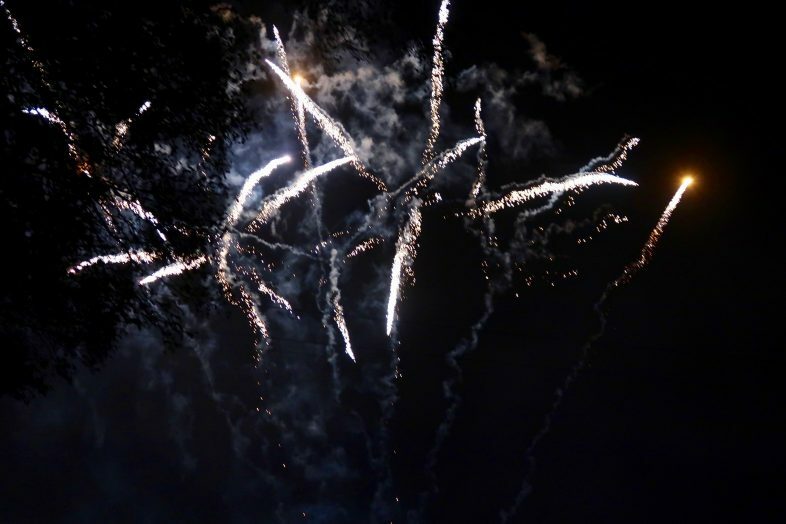 ), and at the end of the day they have a 10th anniversary parade finished off with beautiful fireworks over the lake. The Magical Christmas event runs from 18th November – 31st December, with the Castle of Dreams closing from the 24th December. Pre-booking is advised, and prices start at £15 for children aged 4-11, or £20 including a visit to Father Christmas.